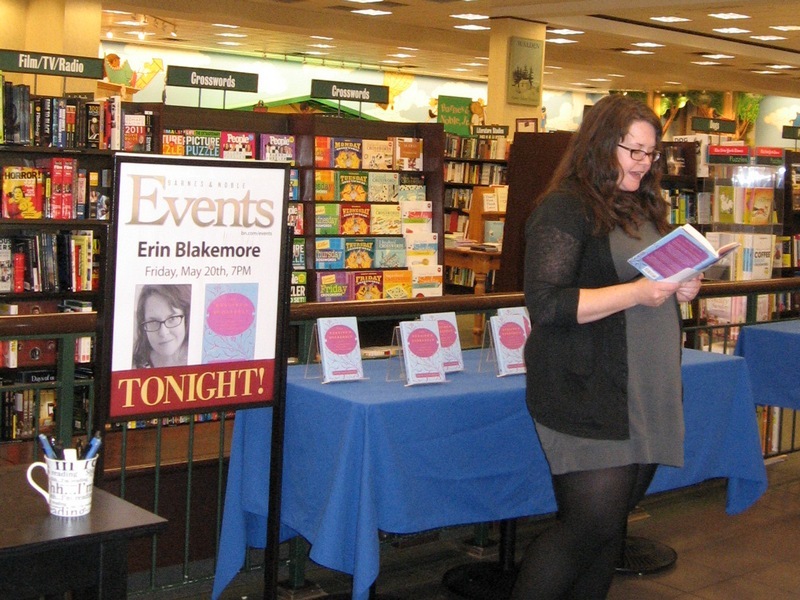 A wonderful time was had by all at the discussion and signing for Erin Blakemore, author of The Heroine’s Bookshelf: Life Lessons, from Jane Austen to Laura Ingalls Wilder on Friday at my Barnes & Noble in Lynnwood, WA. Erin gave an engaging speech on her inspiration to write the book (those amazing literary heroine’s that we all grew up with) and then opened it up to the attendees for a lively discussion. Also in attendance was Katherine Cox, blog mistress of Gaskell Blog. Here are a few photos. I had connected with Erin last year on Twitter. After reading and reviewing her great book, I became its champion. I highly recommend it. 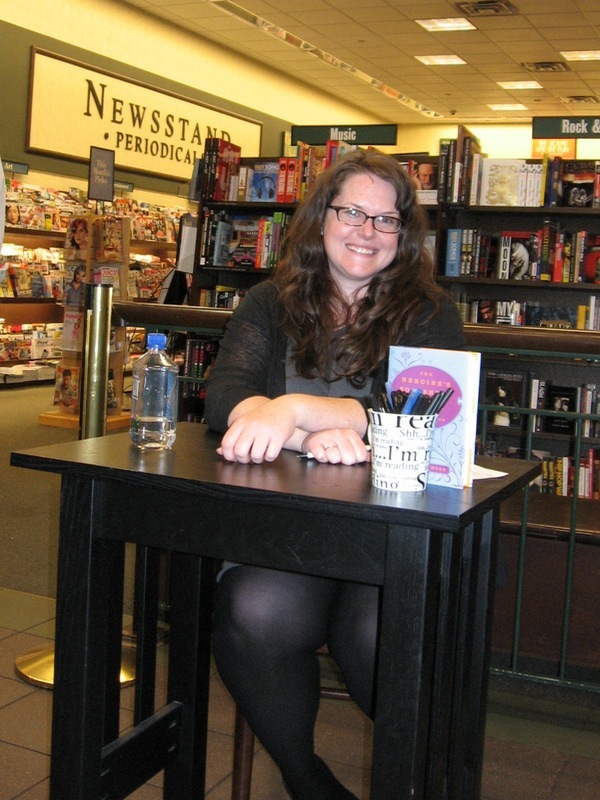 Many thanks to Erin and the staff at Barnes & Noble for their work on the event. It was great fun. This book is fabulous! I’ve told everyone that I know that they should purchase it for gifts to the special women (and young ladies) in their lives. You are right…it is completely inspiring!! And Erin is an exceptionally talented writer. I love, love her style. Thanks for being a co-champion of The Heroine’s Bookshelf Kimm. So glad you got to meet Erin and host a book discussion in your own store Laurel Ann! – it is indeed a lovely book! Is that Gaskell blog Katherine in the last picture? These kind of posts are the best because it’s great to see the people behind the blogs, books, etc. Looks like a grand time…. wish I was there…. sigh! Laurel Ann you are looking just fabulous! !